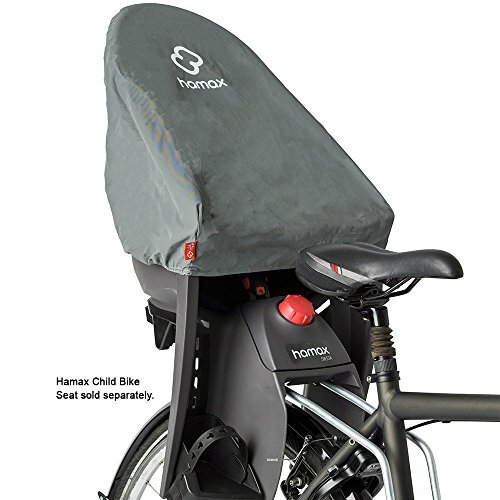 Preserve and protect your rear child bike seat against the elements with the specially designed Hamax Rain Cover - ideal for storing your Hamax seat when not in use. Heavy-duty, nylon material is water-resistant and features an elastic band to fit securely and snugly around your bike seat to keep out moisture, dust and grime. Take it with you on the go to keep the seat dry between uses on a rainy day. Protect your Hamax seat between seasons when stored in a garage, closet or attic. Fits Hamax Caress and Zenith model rear child bike seats. If you have any questions about this product by Hamax, contact us by completing and submitting the form below. If you are looking for a specif part number, please include it with your message.